Don’t Go To India Without Reading This First! 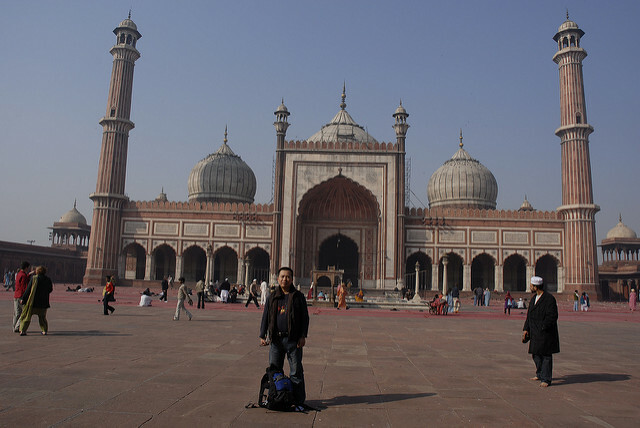 India is one of the most popular backpacking destinations out there at the moment. It attracts thousands of people a year and a lot of them are unprepared for the wildly different culture that they find when they get there. This lack of preparation can put you in some dangerous situations, but that doesn’t mean you should avoid the country entirely. It’s an amazing place and you’re sure to have a wonderful experience there as long as you don’t ruin it by making silly mistakes. If you’re planning a trip to India in the near future, here is a quick guide to staying safe while you’re out there. One of the most common health complaints that foreigners in India have is heatstroke. The temperature there is going to be far higher than anything that you’ve ever experienced at home. So many people arrive excited to see the city and spend all day rushing around in the burning sun, only to end up giving themselves heatstroke or severe sunburn. When you’re out and about, make sure that you apply sunscreen regularly to avoid burning. You should also stay hydrated and take regular breaks to sit down, especially in the middle of the day when it is hottest. Remember that you’ve got plenty of time to see everything so don’t try to cover too much distance in one day. Stomach upsets are also a regular occurrence amongst tourists in India. The cuisine out there is delicious and you should certainly try as much of it as possible, but there are some things that you should avoid because you won’t be able to stomach it. The water is always a big cause for concern; stick to bottled water at all times while you’re out there and don’t forget to avoid ice as well. Where food is concerned, your biggest problem is going to be street food. Avoid anything that hasn’t been cooked, especially salads. It’s best to go for things that have been boiled or deep fried, that way you know that any bacteria has been killed. Fresh fruit is also fine. Even if you are careful, you could still get ill or sustain an injury while you are out there. The health care provisions in India are not very good so you’ll want to get home as quickly as possible. Look into air ambulance transport that can get you home safely and provide any medical attention that you might need along the way. It’s much better to get home to a good hospital rather than try to get treatment while you’re there. On public transport especially, you will be crammed in with a lot of people which makes it fairly easy for people to take things out of your bags or pockets. You can reduce the risk of this by using a travelers purse that straps to your body under your clothes, but you should still be careful what you are carrying with you. Don’t walk around with large amounts of cash on you because if somebody sees you spending it, you’ll instantly become a target. Also don’t bring your passport around with you because if it gets stolen, you’ll be in big trouble.